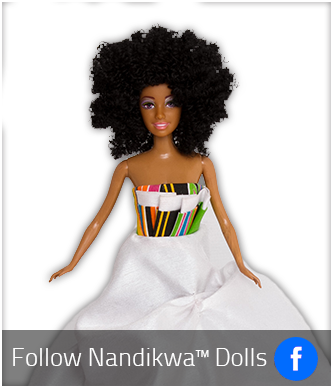 The Nandikwa™ Doll brand, Simply Beautiful, is a sole proprietor business, operating from Meyerton, South Africa. Nandikwa™ Dolls is owned and managed by Mmule Ramothibe. 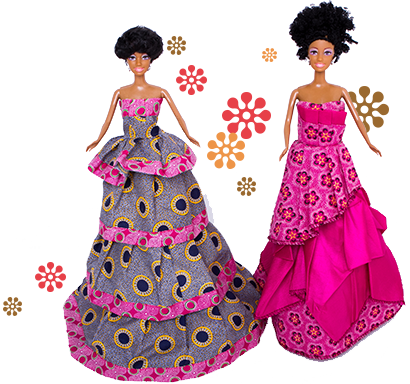 The brand started as an idea in 2012 to address the shortage of ethnic like dolls in the market. This gave rise to the birth of the Nandikwa™ Dolls Collection. The operation designs and moulds the dolls locally. We also employ seamstresses to manufacture ethnic wear to clothe them. The dolls are approximately 30cm in height, 35cm when displayed on a stand and are suitable for the age group 3+ years. They are also suited as a display doll. 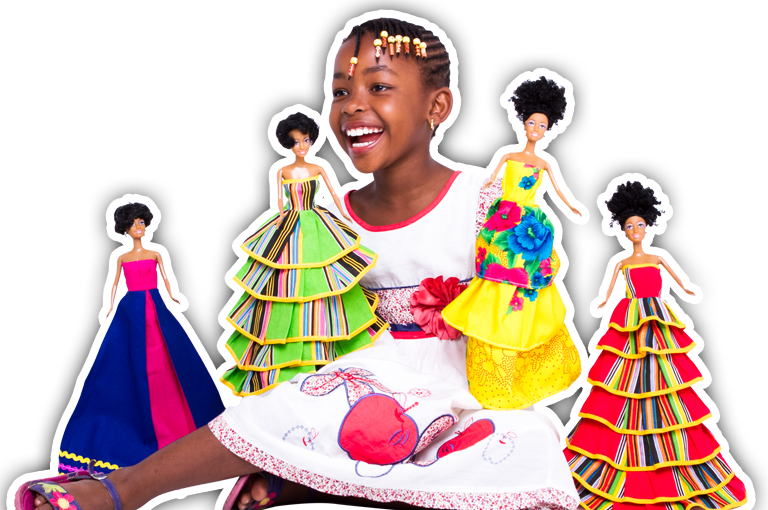 We dress our dolls in modern colourful South African ethnic wear, across all different cultures, such as Sotho, Tswana, Pedi, Zulu, Xhosa, Swati, Venda, Tsonga and African. Simply Beautiful also offers ethnic doll related accessories, such as other clothing options for changing the dolls into, which any little girl will have many fun-filled hours playing. 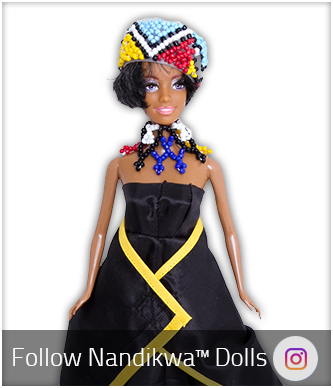 The Nandikwa™ Doll brand, Simply Beautiful, encourages children to explore different cultures, through caring for and sharing hopes, dreams and experiences with an always understanding friend and playmate - the Nandikwa™ Doll. In the near future, we plan to add different moulds to increase a broader selection to our doll collection across the different ethnic groups. We also aim at presenting our dolls to be more voluptuous (fully figured) as well as to increase the accessories range in our collection. We believe that a doll is a girl's best friend. 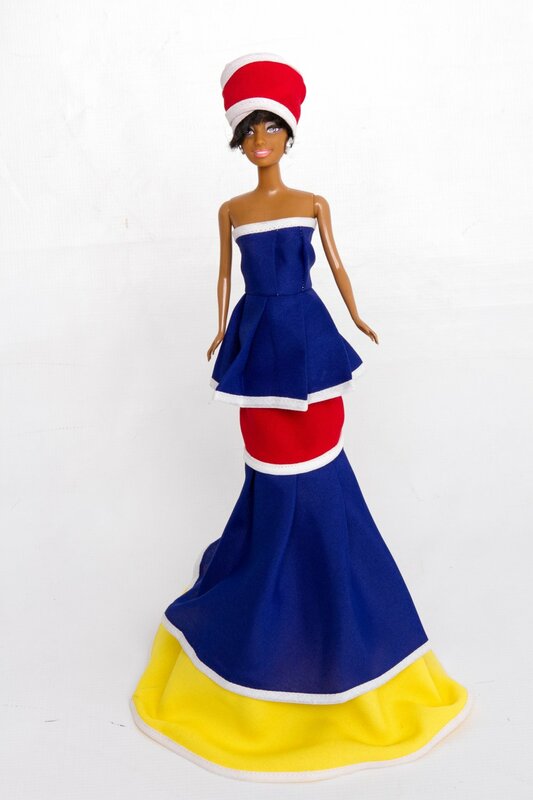 Every little girl is deserving of the creative beauty and smile brought upon by the Nandikwa™ Doll Collection. With its quality, ethnic colourful designs, we plan to make this an every girl must-have companion. To make the Nandikwa™ Doll Collection, a proudly South African brand as well as grow the brand across the African continent and abroad. Contribute to our African heritage by creating awareness to our little ambassadors in a fun loving environment. Continue to improve our brand. Meet your favourite Nandikwa™ Dolls!